The Green Bay Packers endured another thrilling game in Week 2, playing their way to a 29-29 tie with the division rival Minnesota Vikings. But unlike the season opener, few fans (of either team) left feeling particularly good about a game marred by questionable officiating, missed scoring chances, and an admittedly bad 4th quarter collapse by the Green Bay defense. Now, there’s no excuse for what transpired at the end of the game for the Packers’ defense. After holding a potent Minnesota offense to just seven points through three quarters, Kirk Cousins and the Vikings exploded for 22 points in the final 15 minutes. Good teams with merely average defenses can’t allow that type of output, especially in crunch time when the game is on the line. Looking purely at the numbers, there would seem to be major causes of concern for Mike Pettine’s group. But the game against Minnesota held some major positives on the defensive side of the ball, and the unit–for the most part–played better than the stat sheet would say. Obviously, there has to be some poor defensive play for an opposing quarterback to throw for 425 yards and four touchdowns while mounting a 22-point quarter. Having a slow, aging Davon House line up on Stefon Diggs on his eventual 75-yard touchdown is a match up error that shouldn’t ever happen. Ha Ha Clinton-Dix provided poor safety help on Laquon Treadwell’s first quarter score. Kentrell Brice had what looked like a decent shot at an interception on a ball that would thread its way to Adam Thielen for the game-tying score. Green Bay’s pass rush still leaves a lot to be desired. But as Packer fans are now well aware, if a few lucky bounces (and one or two controversial calls) had gone another way, the game would have gone much differently. Muhammad Wilkerson had a shot at a game-sealing pick on a deflected ball on Minnesota’s final drive of regulation. On offense, a couple questionable penalties took points off the board that would have likely put the game out of reach anyway. And then there was the penalty. The Clay Matthews roughing the passer call reveals a glaring weakness in the league’s ability to articulate and enforce its own rules. Had it not been called, promising rookie Jaire Alexander would have ended the game with his first career interception. The penalty was met with widespread criticism from fans, former players, and media personalities alike. Then the league doubled down, reasserting on Monday that the correct call was made, further cementing the NFL’s shift to a game in which football players are punished for playing good football. If the flag is not thrown and the interception stands, Cousins ends the game with 284 yards, three touchdowns, and two fourth-quarter interceptions. That line would represent a pretty good showing for the Green Bay defense. Again, there are defensive issues that need to be fixed moving forward for Green Bay. Most notably, the pass rush needs to find a way to get more consistent pressure, which in turn makes coverage easier for the secondary. Growing pains can be remedied, and small bumps can be ironed out. 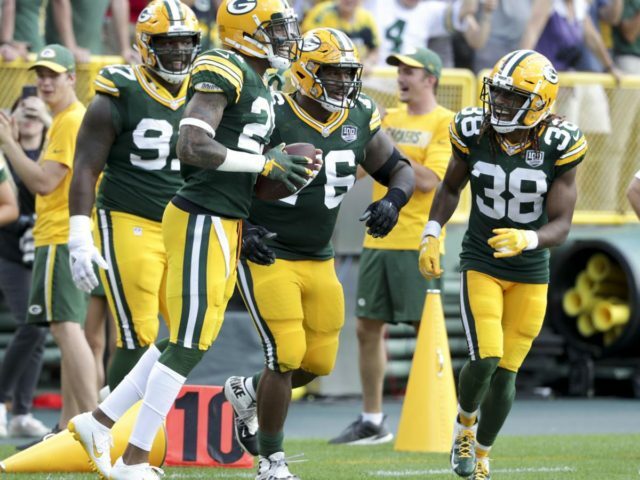 While the stat sheet from Green Bay’s Week 2 tie may not show it, there’s little doubt that this defensive unit is better off than in years past. Sean Blashe is a Packers fan who grew up in Bears territory and is currently a journalism and history major at Marquette University. 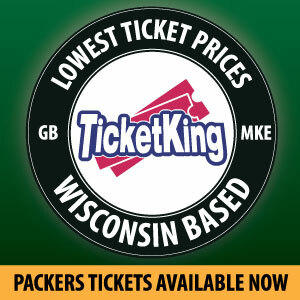 Sean is a writer with PackersTalk.com and you can follow him on twitter at @SeanBlashe . This entry was posted in Packers 2018-2019 Season, Sean Blashe and tagged clay matthews, defense, Green Bay Packers, Jaire Alexander, Kirk Cousins, Mike Pettine, Minnesota Vikings. Bookmark the permalink. You are whistling through the graveyard my friend. You are what the record says you are.